Sorry, due to construction on Water Street the Fieldstone Criterium will not be running in 2019. In addition the KTGP will now be on Saturday instead of Friday night. 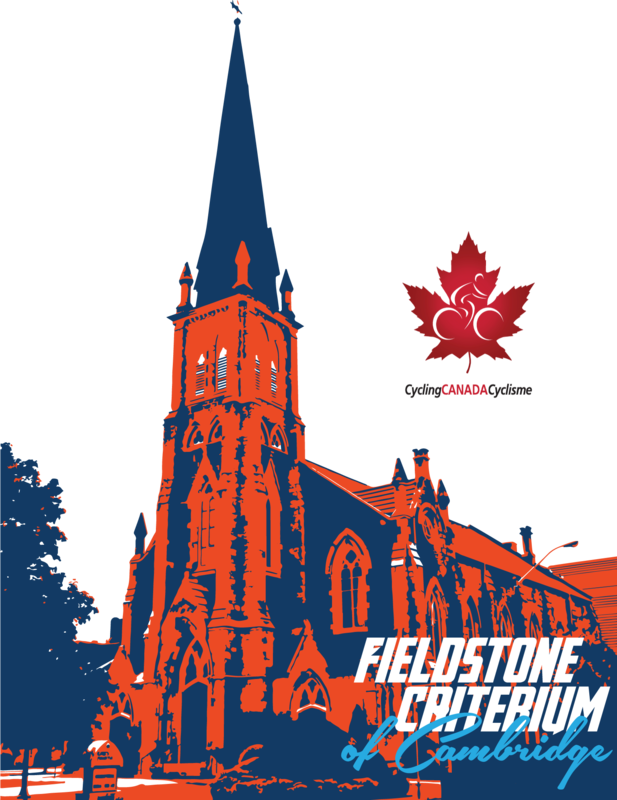 The Nationally Sanctioned Fieldstone Criterium of Cambridge Bike Race will be hosted in the famous old historical Galt area of Cambridge. Cyclists will race 1.2km over 2 bridges sprawling the famous Grand River passing by the Central Presbyterian and other wonderful old Churches built in the 1800’s. This stunning course reminds many cyclists of the Grand Tour events in Europe. The film industry regularly comes to this particular Ontario site to film. Cycle Waterloo feels the Fieldstone Criterium will be unmatched in Canada for its stunning beauty for criterium bike racing with an estimated 5000+ spectators cheering on the racers around the full course. With the addition of the Fieldstone Criterium of Cambridge Cycle Waterloo has created “Speed Weekend” one of the few Criterium Race Series Events in Canada. *Note: One-Day permits will be available at the Fieldstone Criterium. *Note: US riders will require a UCI International licence to participate in Ontario events. Need more info? Here's the official tech guide with all the details. Check out this guide to get the most out of spectating this awesome race!